I was scammed too ! They said they would not turn the campaign untill I have all my information ready. The said we need your cc and inorder to get the “discount” they needed my cc and the rep said don’t worry we won’t charge you anything and said the phone call is being recorded you have my word. They turned the campaign on and I was billed 300. Oh my gosh I hate Yelp they are now getting me for 450 a month I don’t know what to do I’m scared to cut them off they even went behind and got my new card. I was late on a payment because I had lost my card and forgot to read issues then the new number and somehow they got the new number I didn’t call them and give it to them at any rate the Yelp for advertiser if you’re getting online quotes they go with five other people’s quotes there’s always adds before your ad it’s misleading and will take you somewhere down the rabbit hole that you don’t want to go. My not recommended reviews are all four or five star ratings of course my 1-star reviews get posted immediately. I called to ask about this they told me oh there’s an algorithm that determines where they get placed this place is so full of crap I hate them but the millennials nothing against you millennials should use Google instead of Yelp I’m actually thinking of canceling was Yelp because of it shady and underhanded business practices I do believe that if I paid them a thousand bucks a month that all of my reviews would be posted of course they assured me that this wouldn’t happen and it doesn’t work like that but the previous owner paid a thousand bucks a month and all of his reviews were posted things that make you go hmmm? Another victim of Yelp’s SCAM and FRAUDULENT business practice here. I too was lured by their $300 in free ads. Talking to their phone reps was even worse. I couldn’t believe how rude they are, I couldn’t believe it. I can see here that I am not alone. I am really upset about how they treat small business owners. We all should band together and file a CLASS ACTION LAWSUIT to them. They definitely should face severe consequences for their dishonest business practices. #yelpscamme2. I could kick myself for finally falling. They’ve called me for so long and I said no, or didn’t return the call. Finally I just picked up and so it began. I was mislead for sure. Told it would be free for a month until 12/31/18 and the deadline was 12/11/18. He called and called, bait on the hook and I fell for it…arrrgh! My understanding was there wasn’t any charge, because Yelp was willing to invest ads and pushing me to the front of my key words. After all, I had a 4.5 rating that could easily be pushed to the 5 star winners group! This would show me in a short time how valuable Yelp would be for my business. I could cancel 1/1/19 if not pleased and walk away free of charge if I didn’t want to continue and maybe I’d even have a few new clients, on Yelp. HUH!!! I’ll be a fool no more. I guess I had to really learn that lesson, approx. $300 later. Even though I cancelled and couldn’t get my money back, Visa says, call it fraud and change cards not allowing them to charge anything else, which a charge is promised by the end of this month….arrgh, I’m not sure if I should go through that change…? Not sure if they will try to charge even more than they said they plan to….? I got scammed too. Priced per click were outrageous and none of the leads were even associated with my business. I got wasted $150 of pocket money after the $300 bonus they give upfront. It’s a racket for sure and unlawful if you ask me. 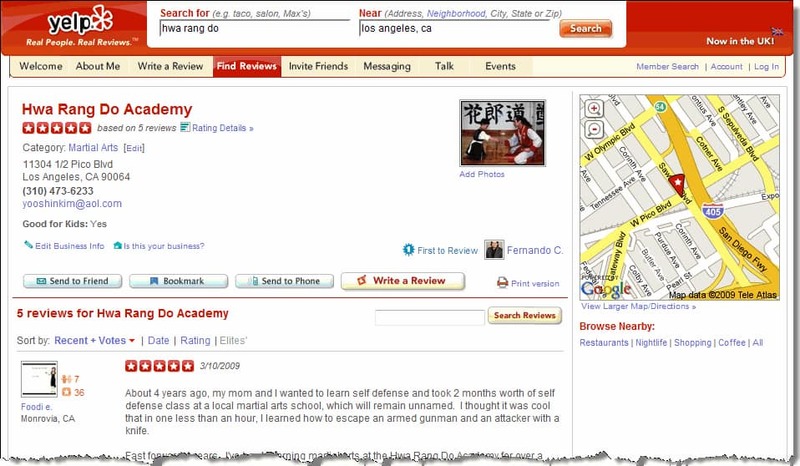 This informative review on Yelp by Raymond Fong further substantiates what I and many others have know all along, and that is: while the internet provides a plethora of useful information, it provides as much, if not more, misinformation in addition to serving as a platform for businesses like Yelp that continue to scam the public with their clever deceitful marketing, hiring people that have a difficult time articulating much less reading from a book they’ve been given for talking to existing and would be customers. Since the internet is much too vast to police and prevent the crooks online from fleecing the public, it’s definitely become the goto medium for such activity. Last but not least, I really have to place a lot of blame on those who are easily convinced and sold on Yelp and similar scams as it appears most are looking for the magic bullet, so to speak, to help resolve their issues in improving their lot in life. Sad to say, there is no magic bullet or shortcut and the snake salesmen out there know it! 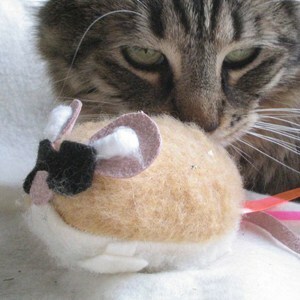 Also terribly unimpressed with Yelp. I believe they lied to me when they said my cost per click was $5.90. Turned out that my ad that I ran for less than a month received only 9 clicks and they charged me $280. I complained and the manager said she would look into it. In advertising you have to test, test, test. So this was my test. I personally believe they lack in training and the question of their integrity is still out there. Business owner in Michigan here and I “concur” with all of the other reviewers regarding Yelp’s ad platform. It is a TOTAL waste of time and money. Do NOT get suckered into the $300 dollar promo offer, because as others have mentioned Yelp is more interested in depleting funds than providing a strong / reliable ROI. The sales reps that cold call are telemarketers (period). They are script-reading-happy-hour-20 something-bimbo’s, calling from a Manhattan boiler room, and doing God knows what “on the side.” There is nothing coincidental about the comments in this thread; everyone has a similar story because this is how these street walkers have been trained. Somewhere out there is a Russian Pimp wearing a wide brimmed hat with a big Yelp logo. The tale of these tele-barbie’s reads more like the plot to the fourth installment of “Taken” and hopefully one of these girls has an ex-CIA, middle aged divorced Dad, who has the special skills to save her. If not, then would someone please call Chuck Norris! Nov 1- 2018 – I let YELP waste one. hour talking to me. I have heard for sometime that they are scammers. He was friendly, trying to accommodate, giving. me $5 a day price for their new way they do business per click and if they do to click you are not charged line. I let the phone call go on way to long, due to that he felt I should have bought something. When I asked him to reach out in the new year.. that was simply not enough to stop his barrage of what he could do to help me. When he mentioned a business in Charleston that had the new slideshow that they design, I have that already for free. I went into private mode, googled the business name he suggested that had their special add, it took over 6 attempts in private mode to even get his Charleston company to show up on google directing me to Yelp. I asked him when they do their weekly E blasts on things to do in the area we live: Like: have coffee here, tacos there, best breweries… why they do not have that for photographers and he said that is handled by IT. He will probably trash. my Yelp page now. Appreciate Ray your feedback here, and hope when business folks get the YELP CALL they see this before they commit to a campaign that unless you go directly to Yelp- is not worth the 300.00 per month price of admission. Do not fall for their sales pitch. Yelp is hoping you sign up and then forget about the service so they can continue to drain you bank account for months or even years. They have a no refund policy as you were provided with “marketing services” .. Basically they will try and politely tell you to go pound sand when you call to get money back. I wish I had seen this website before I signed up for the scam. Luckily I only got stung for one month and three days. They refused to refund the 50 bucks they took for the three days. I figured the 240 bucks they took for the month was my fault for falling for the pitch. Having seen no return on the investment, it was truly a slap in the face for them to bill me another 50 a month later…. Hi I own a highly successful carpet cleaning company smSir Cleanalot carpet and upholstery cleaning with over 78 five stars reviews. Only 25 five star reviews are showing because everytime yelp calls and I inform them we’re not interested in advertising at this time the take away 4 or 5 reviews. These are reviews that are well connected and been yelp users for a while. It’s one big scam. They should be sued. This is why people are starting to use Google more as a source of reviews. Yelp and the ghost clicks were maddening. Didnt recieve a single bite, and somehow magically there were just enough slicks to gobble up my monthly amount. Total total scam. I found advertising on Yelp to be a total waste of time and money. I got suckered in by the $300 in free credit. This was back in March and April. I think it was something around $25 CPC. At that rate, it went by quickly, even though it took two months to reach that threshold on a few amount of clicks. I just got another email from Yelp with ANOTHER $300 credit promo. It seems like they are desperate to generate revenue from their ad platform. It just isn’t worth it. 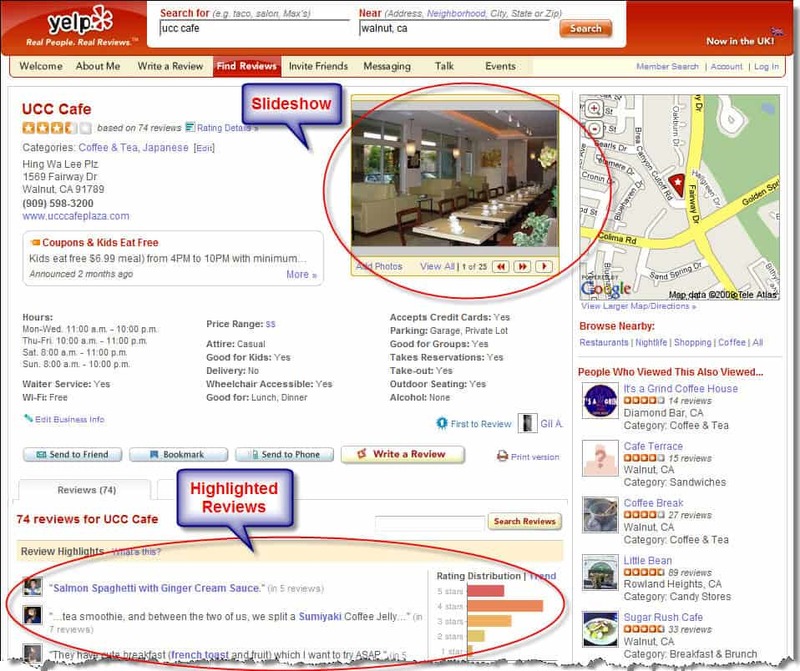 People use Yelp to look at reviews, not search or seek out businesses. It makes no sense to choose them over Google Ads from cost-efficiency perspective.